Go on an undercover mission and head to a lost jungle civilisation in with the 2 latest slot games from Playtech – find out more about Spy Rise and Sky Queen. 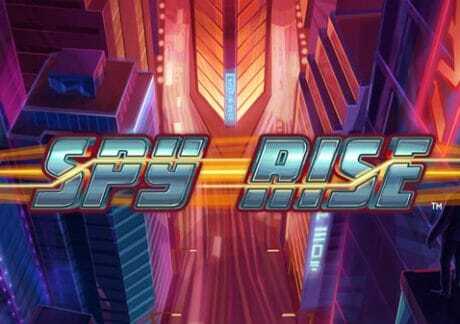 First up is Spy Rise which comes with 5 reels and 40 paylines – a jackpot title, it has an espionage theme can be played from just 20p a spin across all devices. Set against a neon lit cityscape, this futuristic looking slot game allows to upgrade symbols with the Feature Bet Mode feature – if you use feature bet level 4, 5 high value male agents will reward you with 83.33 times your stake. There’s a Free Games feature where you get 10 free spins with win both ways payouts – you’ll also benefit from any upgraded symbols. Finally, there’s a Progressive Jackpot feature where cash prizes and a progressive jackpot can be won. On any spin, you could win 3,333.33 times your stake with high value upgraded male agents. 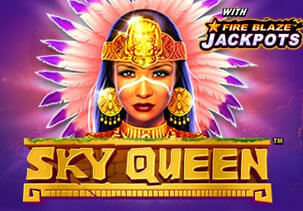 Sky Queen is a 5 reel, 50 payline slot game set in a lost jungle civilisation. Playable from 25p a spin on all devices, you will see jungle pyramids in the background. Look out for the Sky Queen as she is the wild and expands to give you wild reels. There’s a Fire Blaze Respin feature where the triggering sun symbols lock with 3 respins to follow – if new suns arrive, they too are held and the number of respins resets to 3. With cash prizes up for grabs, they can contain stars – if you fill the reels with stars, you’ll pocket the Grand Jackpot which is 2,000 times your stake. Lastly, there’s a Free Games feature where you begin with 8 free spins – with wilds now appearing on all 5 reels, the Fire Blaze Respin feature can be triggered for even more payouts. 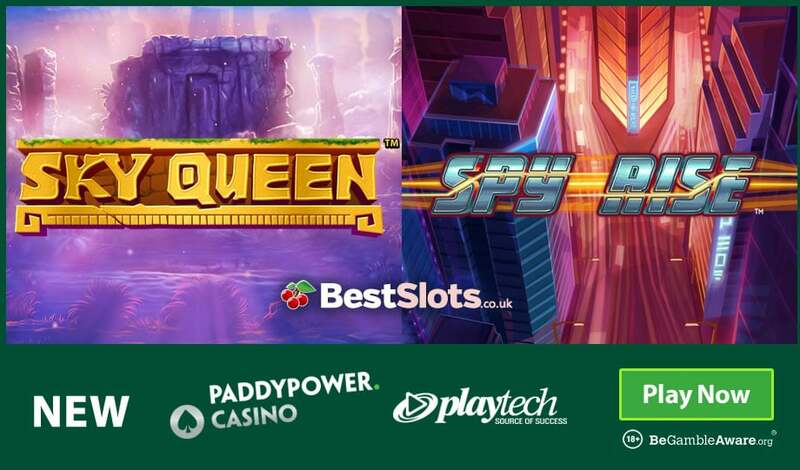 Both Spy Rise and Sky Queen can be played at Paddy Power Casino – with 24/7 customer support and fast cashouts, you have the choice of 2 welcome offers. Deposit just £10 to get £40 in bonuses and 20 wager-free free spins. Alternatively, deposit £20 to £100 to get a 200% match bonus – i.e. deposit £100, get a £200 bonus.